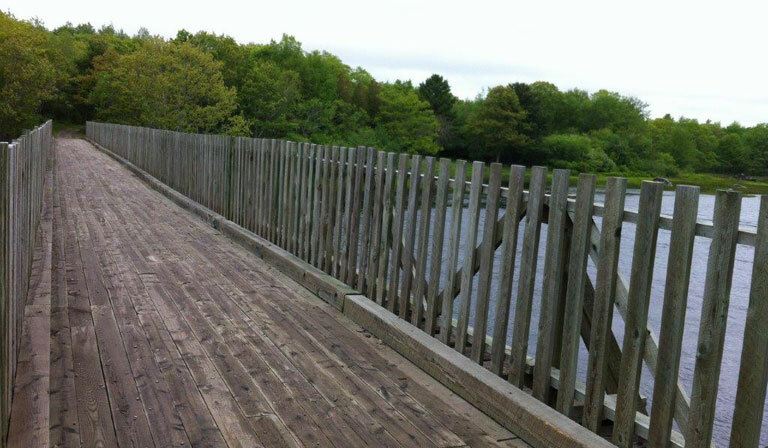 The Dwight Crouse Memorial Trail is a 70 inch wide multi-use trail and connects with the Bull Run Trail at the Lunenburg County Line to the East and ends in Brooklyn to the West. The trail has been reported as being in good shape for all intended uses. The trail is maintained by the Queens Rails to Trails Association.